Why China’s vision of cyber sovereignty is simply not reproducible elsewhere–especially in developing countries. 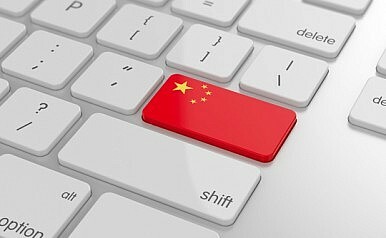 Other countries have certainly taken note of China’s successful balancing of digital economy and political stability objectives—a Russian tech group with links to government officials met with Chinese experts in April to discuss Internet policy issues, while Thailand’s junta-controlled government continues to explore plans to create a “Great Firewall” of its own. But observers should be careful not to overstate the influence of China’s walled-garden approach to the Internet—which is a model, yes, but a very difficult one to duplicate. Authoritarian-leaning regimes may borrow from China’s digital policy playbook, but they also divert from it in important ways due to logistical challenges and the uniqueness of China’s Internet-sphere. China’s real lesson to the world, in turns out, is that maintaining cyber sovereignty is an expensive endeavor with sizable opportunity costs. The government’s filtering and surveillance capabilities reflect an enormous deployment of capital and human resources that few other countries can afford. These efforts have been effective in maintaining order, but are also a huge drag on Internet functionality and economic growth. China’s Internet control system represents two main pillars—the Great Firewall and Golden Shield—which were both developed incrementally over many years at great cost. The “Great Firewall” is the Western name for China’s filtering system—built into the backbone of the country’s internet architecture—which blocks users from accessing “undesirable” foreign websites like YouTube and Facebook. China worked with engineers and telecommunications companies from inside and outside of the country to implement the system between 1998 and 2003. The project is estimated to have cost somewhere north of a hundred million dollars, with the filtering components alone costing $60 million. Golden Shield has been an even more expensive undertaking. The program, which began in 1998, monitors all digital activity within China by working closely with domestic online service providers and tech companies. State media has reported that the government employs more than two million people to monitor microblogs and other web activity. In 2013, The Economist estimated that the program had cost more than $1.6 billion to date. Golden Shield surveillance is effective because the Chinese Internet is, in many respects, a walled garden that operates independently of the World Wide Web. Part of this balkanization simply reflects the language barrier—the vast majority of the world’s Chinese language speakers are within China, so it makes sense that so many Chinese language websites and online services are based from there as well. But the government has also proactively encouraged the growth of homegrown social media services like Sina Weibo and WeChat as alternatives to Facebook and LINE. These domestic companies are all required to collaborate with government authorities to screen and remove sensitive content. When U.S.-based online services have operated in China, they’ve only done so after agreeing to comply with the government’s censorship policies. Google briefly offered a scaled-back, Beijing-approved version of its services in the country, but that deal collapsed after Google failed to filter search results. The service became inaccessible soon after. Other developing countries lack the market leverage necessary to demand compliance from foreign Internet companies. Citizens in countries like Vietnam, for instance, have flocked to Facebook—and so have domestic businesses looking to connect with local and global customers. The Vietnamese government may order Internet service providers to temporarily block the site, as it did during President Barack Obama’s recent visit, but a permanent ban is simply unthinkable. In The Wall Street Journal last month, American Chamber of Commerce in China chairman James Zimmerman stated that the country’s Internet controls are “a counterproductive effort that is impeding China’s business growth.” Zimmerman highlighted a poll showing that nearly 80 percent of American and European companies agree that censorship and Internet restrictions significantly interfere with their ability to operate in China. Skeptics might dismiss this as Chamber of Commerce propaganda. But numerous sources over the years have noted that China’s Internet is far slower than it should be—and that it comes to a near halt when a sensitive event is taking place. China’s vision of cyber sovereignty is simply not reproducible elsewhere—and is likely not even sustainable in China over the long term. Pete Hunt is a Bangkok-based writer and Internet policy analyst. You can follow him on Twitter @PeteHuntBKK.